A couple weeks ago, we had our annual New Life Celebration. This is an event we do each year to celebrate the salvation of those who came to faith in the past year, and pray for more response to the gospel in the coming year. Katie Bloss shared her testimony and was baptized by her husband, Nate, during our morning worship service. Then, during our evening service, Jake Ellis and Nehemiah Bertram shared their testimonies. Check out each of these below. You can also just listen to the audio of Katie’s testimony by clicking HERE. 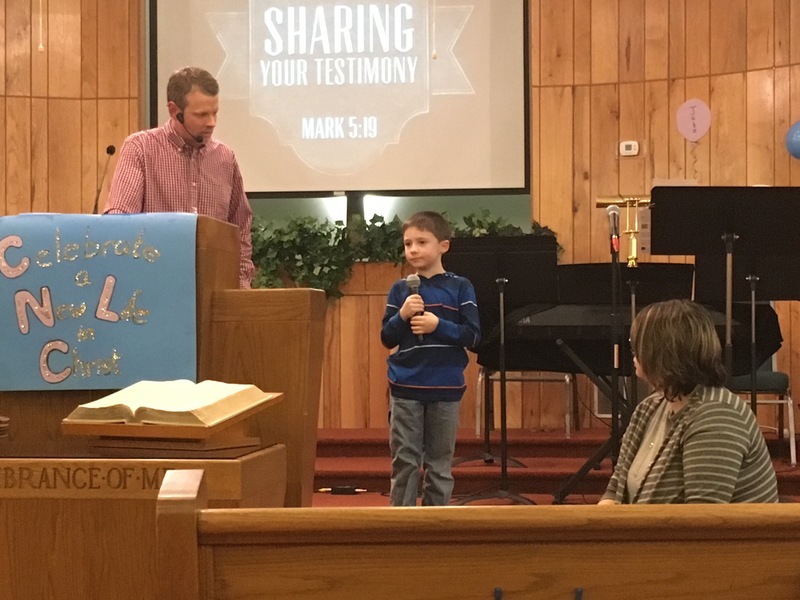 You can also just listen to the audio of Jake’s testimony by clicking HERE. Finally, check out Nehemiah Bertram’s testimony discussion with Pastor Nick by clicking HERE. Unfortunately, we didn’t get Nehemiah’s testimony on video, but you can watch his baptism and testimony from last year by visiting our church’s YouTube Channel.